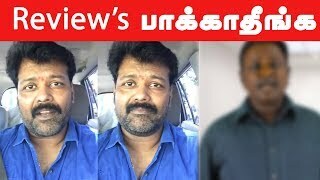 Truth behind Vignesh Shivan's religion conversion| விக்னேஷ் சிவன் மத மாற்றம் உண்மை காரணம்! There are a lot of speculations going on right now about Rajinikanth's films after Darbar. 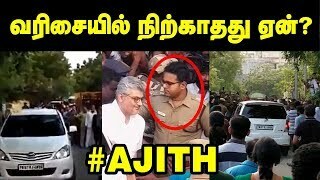 It is said that the Superstar will act in H Vinoth's film and KS Ravikumar's film before taking his political plunge in 2020. However, fresh rumors suggest that Thalaivar has different plans. Recently, director Vignesh Shivan met Rajinikanth on the sets of Darbar, which went on floors in Mumbai. The picture of Vignesh with Rajinikanth has gone viral on social media and has also led a lot of speculations. It is now said that Rajinikanth has heard a story from Vignesh Shivan, which is an out-and-out comedy entertainer. Rajinikanth hasn't done a full-fledged comedy film in a very long time. However, it is also said that Vignesh Shivan's girlfriend Nayanthara is the heroine of Darbar and so, the director might have just met the superstar while paying a visit to his girlfriend. Whatsoever, Rajinikanth's political debut has to wait since the Superstar is not done with his acting career. Many criticise Rajinikanth that he is misleading people with false promises of entering into politics and using the buzz for his films' success. Darbar, directed by AR Murugadoss is has Rajinikanth playing the role of an IPS officer. The film scheduled to release on Pongal 2020.